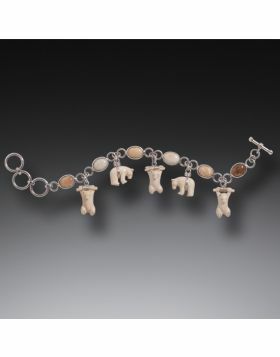 We have an extensive collection of hand carved bear jewelry. 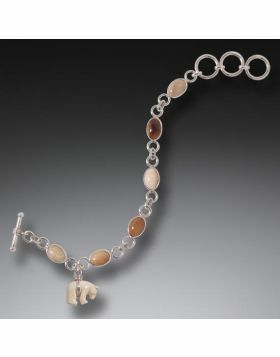 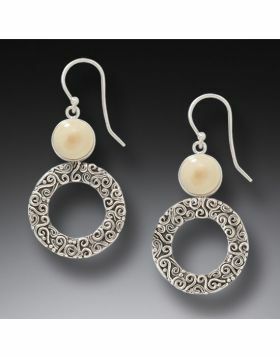 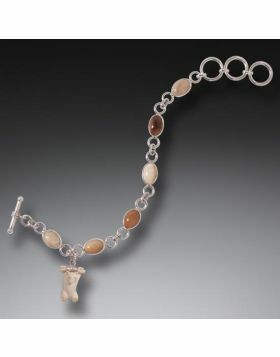 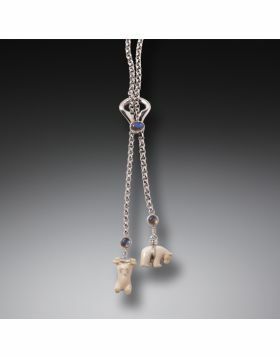 Bears have been part of the Zealandia jewelry line for many years and continue to inspire new designs. 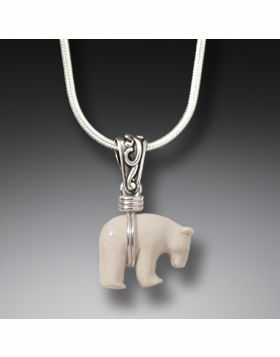 Our bear jewelry is carved from fossilized mammoth ivory, which is so beautifully suited to the translucent coloration of polar bears. 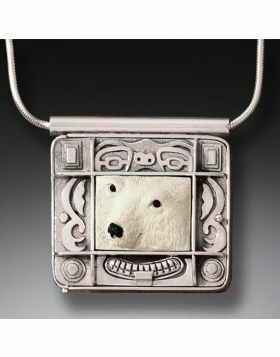 Jenny, the lead designer at Zealandia Designs, has spent countless hours admiring the beautiful brown bears in Alaska’s Katmai National Park. 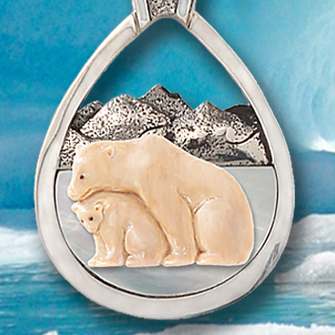 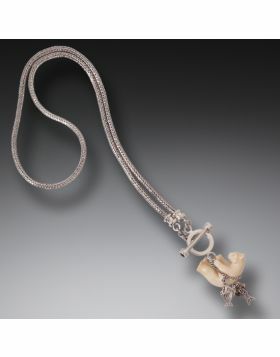 Many bear jewelry designs have come from watching those stunning bears in their natural habitat. 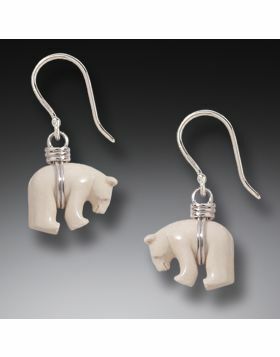 Our hand carved bear jewelry collection includes bear earrings, bear necklaces, bear pins and bear pendants.